As part of Speedy Spreadsheet Week, I have emailed a few renowned Excel experts and asked them to share their tips & ideas to speedup Excel. Today, I am glad to present a collection of the tips shared by them. Hui (Ian Huitson) has been writing & contributing to Chandoo.org for more than 2 years. Many of you know him from Formula Forensics & Data table related articles on Chandoo.org. See about Hui page for more about him. George runs Excel Unusual, where you can learn about using Excel for engineering, simulations & games. In his work, he builds complex spreadsheet models all the time. So I asked him to share a few tactics with us. He wrote 2 articles in response to my request. To speed up my worksheet files, I have one primary rule: do not use the OFFSET function, which is volatile and can slow things down considerably. In newer spreadsheets I use Tables and The imposing INDEX function to keep ranges automatically updated. In Excel 2003 I use an event-based approach, with named ranges, the worksheet deactivate module, and VBA to keep lists and ranges updated. In VB, whenever I see a line like Selection.something that’s usually an indicator that I’m using extra lines. Either I need to apply the method directly to the object instead of selecting it, or I need to use a With statement. With Event macros, don’t forget the all-important lines of Application.EnableEvents = False and Application.EnableEvents = True so that you don’t cause multiple events to be triggered. See a section of code that you’re repeating? Probably need to make this a separate Sub or Function that you can then reference from the main code. When building your formula page, think top-down. Cells near the top of worksheet should be referenced in formulas that are below, not vice-versa. XL likes to calculate left to right, top to bottom. Scattering cell references around makes it work harder. When using large amounts of data that you want to be charted, sometimes I’ll build a formula sheet within the workbook with data, and then just build another workbook that uses a data query (referencing the formula results) to generate the charts. Learn Excel from basics to advanced level. Create awesome reports, dashboards & workbooks. Learn VBA & Macros step-by-step. Build complex workbooks, automate boring tasks and do awesome stuff. You can create a formula such as =$A1 in cell B1 and =$B1+$A2 in B2 and drag it down as far as you need. This calculates the cumulative cell by adding this row’s number to the previous cumulative SUM. For more, refer to MSDN. Pressing CTRL END will take the cursor and place it on the cell which Excel thinks is the last used cell in the worksheet. Suppose you do this , and the cursor lands on D27 ; now navigate to any cell which is as far away as you can imagine , say AA3456 ; enter any character , even a space will do ; then clear the cell contents by pressing the DEL key. Pressing CTRL END will now take the cursor to AA3456. Your used range should now be reset to its earlier value of D27 ; pressing CTRL END will now take the cursor to D27. Refer to this Stackoverflow discussion for more. Ensure that ALL spreadsheet errors are handled. The most common errors I see ignored are #Ref errors and #Div (for dividing by zero). Use Go To Special… to find these errors and either delete them or use IFERROR to handle them. In my opinion, Excel errors are one of the biggest contributing factors to slow spreadsheets. When using INDEX, include the row or column number even if you don’t need it. For example, if I’m pulling data from only one column, I need only write =INDEX(A1:A10, 1) to pull the first item. However, =INDEX(A1:A10, 1, 1) appears to be a hair faster. Try it. Cut down on Lookup functions. In many instances, the lookup table has already encoded information in the correct order. Instead of looking up, say, Stage 2, just use INDEX on the desired column and pull from row 2. 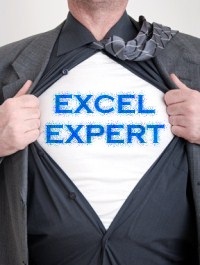 Many thanks to all of you for sharing these ideas & tips so that we can speed up Excel. If you found these tips useful, say thanks to the contributors. I'm interested - how come no-one has mentioned PowerPivot yet? Speed up Excel by minimizing the use of Excel 2007??? Excel is a lot slower in most areas than 2003, especially charting and graphics useage areas. This is very interesting Hui. Excel 2007 slow! Thanks for the link. I'll let my peers (using 2007) know about this. Can you extend on this? Thanks Chandoo and all the contributors, these kinds of perspectives are pretty rare to get so how awesome it came at us all in one hit! It seems to me that in order to make Excel 2007/2010 calculation effective is to disable or "send away" all the charts and work with large chunks of formulas. Beyond 1 million cells these new versions are fast but unfortunately most of the Excel worksheets have less than that and almost always there are some charts involved. In this case Excel 2003 and earler versions are faster. The charting in 2007 is hopelessly slow especially when there are labels and objects attached to the curve markers. Avoid combining two colors in background of the charting area (use some plain color instead) - this effect is bothersome in 2003 too. 1. Change the default font for the editor. I use Consolas. 2. Change the default comment formatting. I use clashing colors that really stick out. 3. Make good use of the Immediate window. Thanks for the excellent topic and tips shared.I want to share a basic tip for beginners for optimizing spreadsheet. TIP: Check if your excel default setting opens three sheets when a workbook is opened.Change it to one sheet and add sheet if required. This will not only optimize size and speed of excel operations but also speedup other operations like attaching it to email or opening /saving etc. Keep it simple for best optimization! SUMPRODUCT: what's the best way of writing this sort of formula? I am working with excel 2013, with a new computer (8 CPU / 16Go RAM). It is faster than what I had before, But as I am working on Big sheets, I would like to optimize the all program.. I am sure there are some options that I can switch off, but where, and which ones?